Derrick Favors scored 10 points, grabbed 6 rebounds and blocked 2 shots in 27 minutes of play as the Utah Jazz defeated the Memphis Grizzlies 90-84. While the the play which generated the most buzz afterward was Marc Gasol fouling Favors with his shoe – the most impressive play of the game (and arguably of Favors’ 2012-13 season) was a 1-on-1 spin-move against the NBA’s Defensive Player of the Year in which Favors started from behind the 3pt-line and ended directly at the rim (1:28-mark). #1. Favors begins his dribble-drive move behind the 3pt-line, 24-feet from the basket. #2. 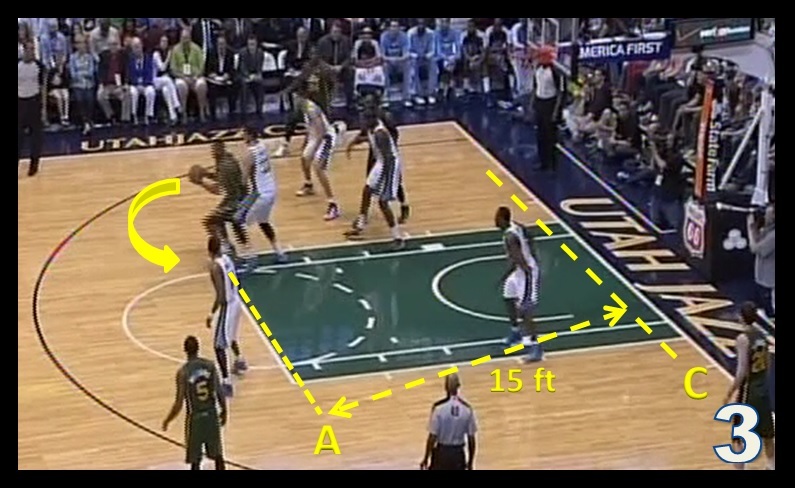 Driving left, Favors recognizes his initial driving lane is clogged and picks up his dribble. #3. 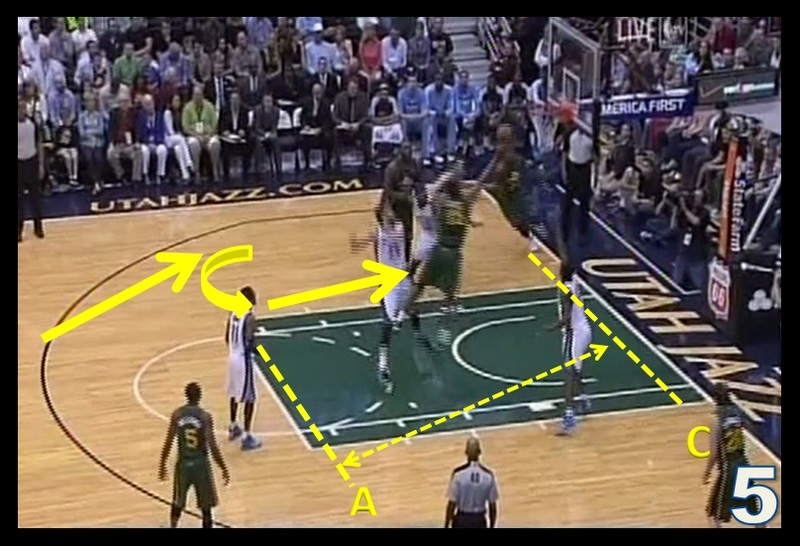 Favors spins middle – with 15-feet and a 7-1 center still seperating him from the basket. #4. 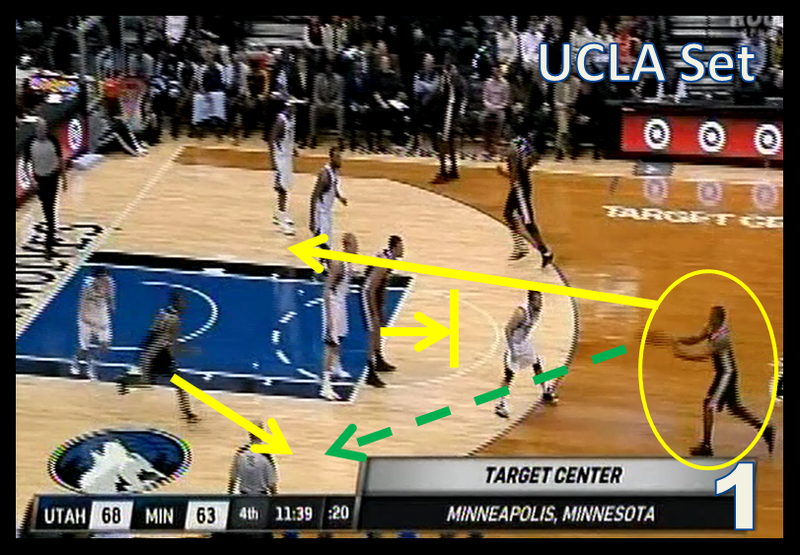 This is where it’s clear Favors has been working on his footwork. He isn’t making the spin simply because he couldn’t go the other direction. Like great players – he makes the spin to get to where he wants to go on the court. He executes a fundamentally flawless drop-step with his left foot (moving from his initial spin at point-A to point-B) – gaining the positional advantage on Gasol when his drop-step (left) foot lands outside of Gasol’s shoulder-width. #5. 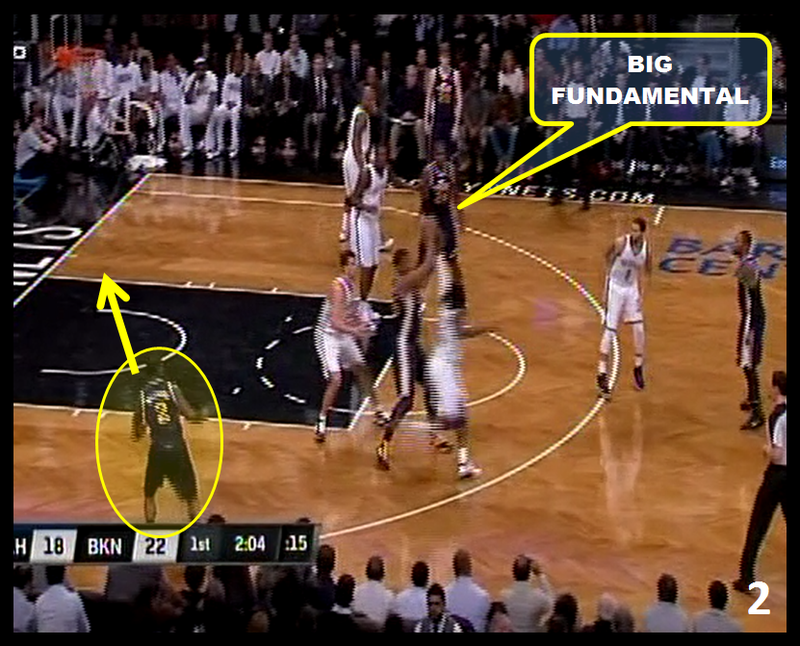 Once Favors’ left foot lands outside of Gasol’s position – it serves as a spring board for Favors to gather himself with a big one-two and extend toward the basket. Being 6-10 with a 7-4 wingspan – Favors is able to use a fundamentally sound spin-move as means to navigate 15-feet against a 7-1 center who was named the league’s defensive player of the year. 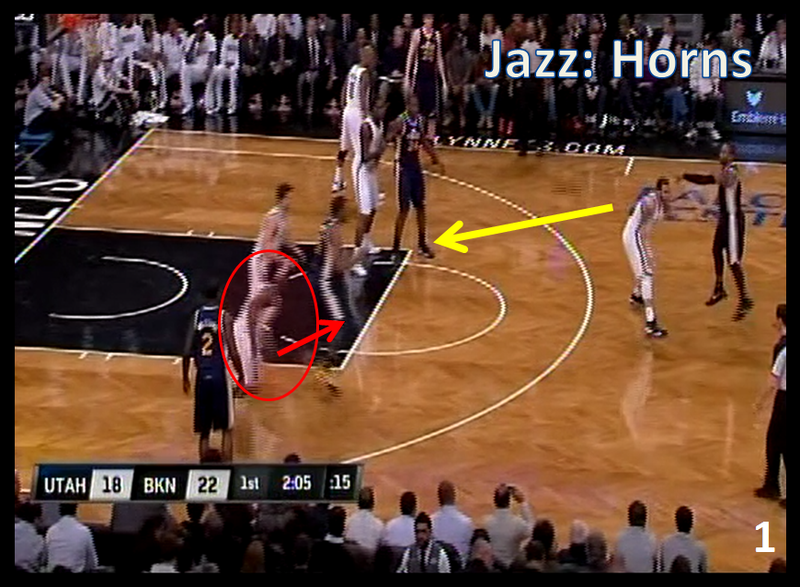 These tantalizing plays that are the reasons Jazz fans carry such high hopes for Derrick Favors. Obviously there’s a big difference between doing it once and doing it consistently – but it’s clear Favors didn’t just “luck into” this basket. He has the athletic ability, he’s shown development in his fundamentals – now what he needs is a meaningful opportunity to supplement his self-improvement in order to fully realize the potential that made him the #3 pick in the 2010 NBA Draft..
Alec Burks turned in a terrific all-around game – recording 9 points, 7 assists, 6 rebounds and 2 steals – in a 97-93 Utah victory in Minnesota. #1. The first read is also to see if Watson springs free off the Kanter screen. If he doesn’t – a plethora of options open. 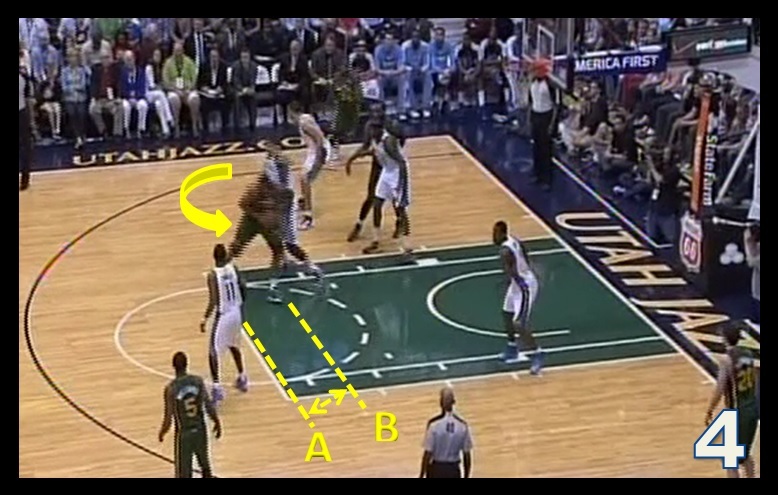 Often times Utah will hit the bigman at the high post and then get into their flex/back-screen action on the weakside. #3. Burks and Kanter execute the pick&roll to perfection. (Sidenote: Steisma sagging down to help on the shuffle-cut negates his ability to body up on the screener and show out hard in the ensuing pick&roll. 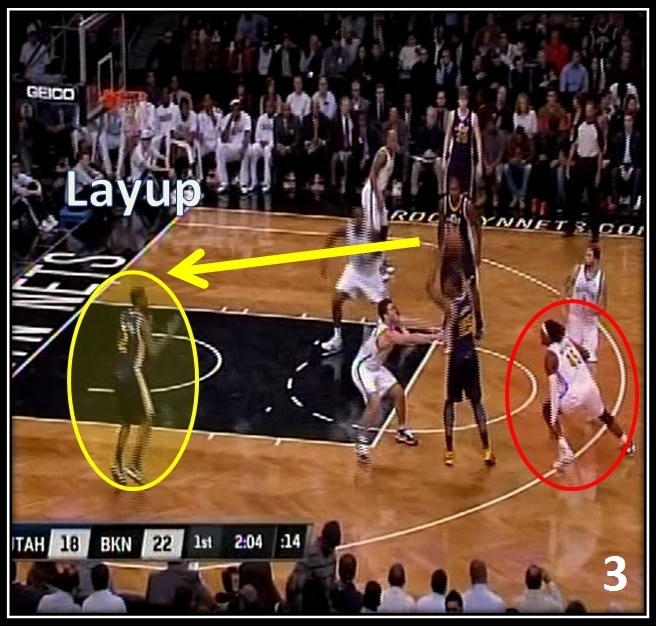 In the NBA – great offensive teams (like the Spurs or 90’s Jazz) don’t simply run screen-roll – they run sets that put their pick&roll players in optimal positions to succeed). If you’re playing the Jazz – historically you know you’re going to see the UCLA shuffle cut multiple times throughout the game. With that predictability comes the ability to run variations that will catch the defense off-guard (1:12-mark). #1. In the 4th-qtr, Burks brings the ball up as Utah again appears to go into their UCLA set, which Luke Ridnour (highlighted in red) anticipates. #2. Instead of the shuffle cut, Burks flares out wide and executes a give-and-go dribble hand-off with Watson on the wing – leaving Ridnour in the middle of the court still in position to fight over the Kanter screen. #3. 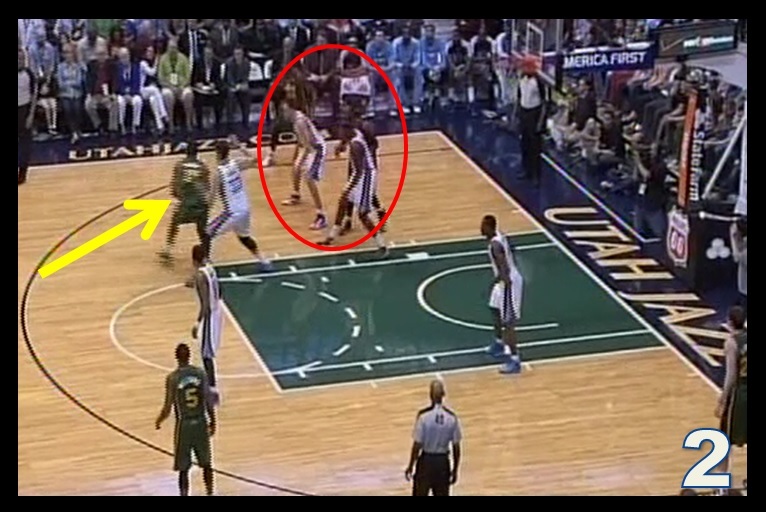 J.J. Barea (a point guard not used to defending the screener) doesn’t show off on Burks. That leaves 290-pound center Nikola Pekovic to try to cut off a hard-charging Burks from getting to the basket. 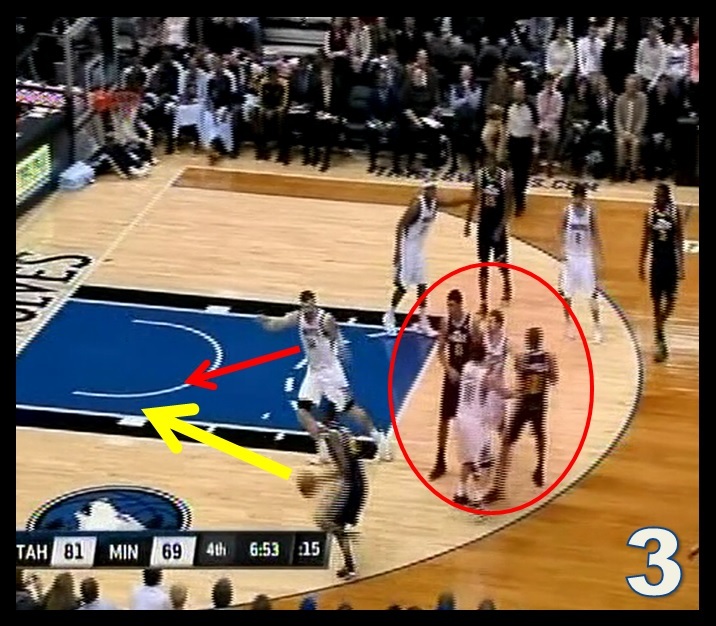 Pek makes a good effort but can’t beat Burks to the spot and the resulting contact goes in Burks favor as he also uses his strength and body control to convert the floater. It’s fun seeing young players like Alec Burks succeed in their (far too) limited opportunities. It’s even more fun to seeing them succeed utilizing elements of Jazzbasketball rather than simply their considerable athletic talents. Against the Nets, Derrick Favors recorded 13 points, 2 assists and 3 blocks in a close 92-90 Jazz road victory. To me, the most impressive play wasn’t Favors’ 180-degree reverse dunk – it was the the second assist he recorded (0:22-second mark). The most underrated aspect of Favors’ game is his passing, and I honestly believe he was Utah’s best low-post passer last season. Here against Brooklyn he showed he can also pass out of the high-post. In Utah’s standard Horns set, Gerald Wallace reads Mo Williams’ eyes the whole time and gambles by going for what he thinks will be a blindside steal. However, Favors sees him coming (most bigs would’ve kept their backs to Wallace in that situation) and picked up Marvin Williams on the auto-cut to the basket. Another impressive aspect of this play is Favors hands and fundamentals. He made a clean catch and immediately kept the ball high – had he brought it down to his waist Wallace has a steal and fastbreak the other way. Those are the little things that make the difference between an easy layup or a turnover and fastbreak dunk for the opponent – which is a 4-point swing and the type of thing that can lose you games on the road.